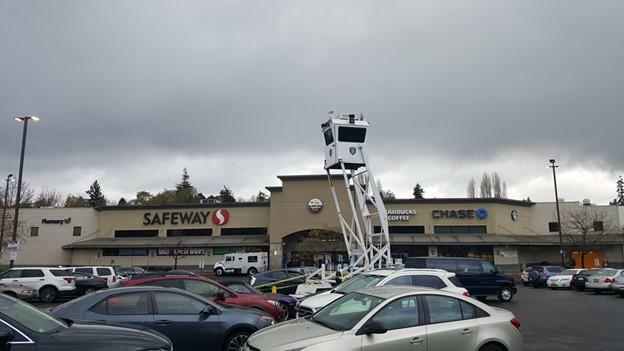 Caption: Image of Seattle Police Guard Tower looming over a south Seattle Safeway parking lot like a disturbing scarecrow. The words “more cops aren’t the solution” is written atop the image. In his piece on how Sound Transit plans to change the downtown transit tunnel, Seattle Times reporter Mike Lindblom tries to imagine anything other than a “security station” going where the current Metro customer service station was. Bodegas, bathrooms, burgers, bistros. 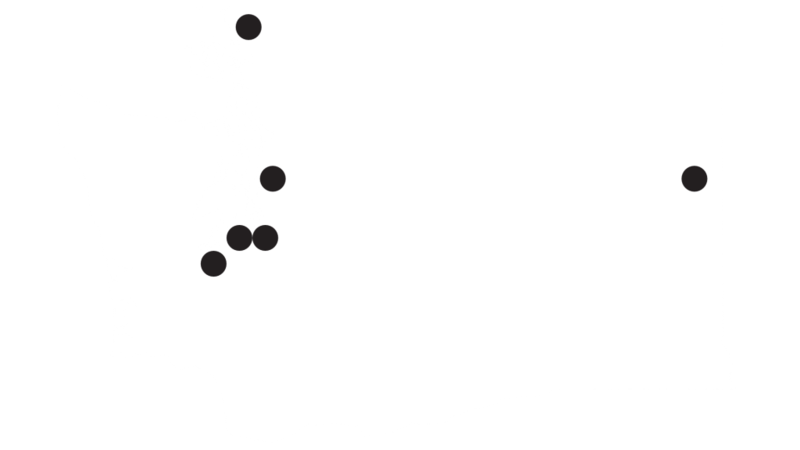 But instead, Sound Transit decided, we’re getting a security hub. Sound Transit is big on security. Its’ 2019 budget plan includes $14.87 million in ticketing system upgrades, $5 million in fare administration costs for system expansion, $31.5 million for developing “next gen” ORCA cards, and $0.5 million in Tacoma Link fare collection costs. Sound Transit Police fall under the King County Sheriff’s Office Budget, along with Metro Police, with $7 million and $0.6 million respectively. On top of that, Sound Transit is adding $9.5 million to increase private Securitas guards and King County sheriff’s deputies systemwide this year. All told? Over $60 million spent setting up and enforcing fares. That doesn’t count the cost on human life in court appearances, missed work, and potential jail time for fare evasion. For all that trouble, Sound Transit anticipates only $102.6 million in fare revenue. We’ve got a better idea. Let’s save the trouble and eliminate fares. We’d likely end up saving money in the long term through decreased set up, administrative, and security costs while encouraging more people to use mass transit. Restructuring how we think about fares would mean the people who live in this region can enjoy all that it has to offer again. That money could be spent on improving human life rather than as a usage tax like a fare. We’re taxing cleaner air and shorter commutes. The fare isn’t fair, you know? 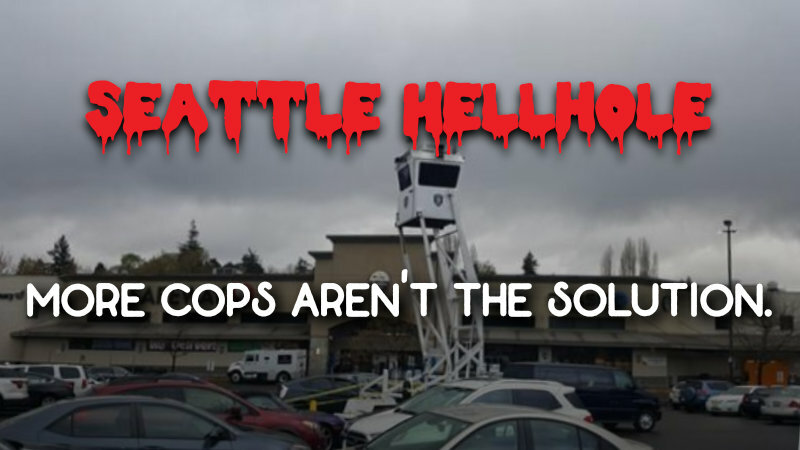 Seattle Police erected a guard tower (“skywatch unit”) in the Mt. Baker neighborhood to defend the property “rights” of grocery stores at the expense of residents’ feeling of wellbeing. Police rarely serve the interests of the working class. It’s not enough to sit by and wait for markets to create justice around race, migrant status, and gender disparities in healthcare, education, local control, and food justice. We must win our own justice. Photo of euphemistically named “Skywatch Unit,” which is a tower resembling a prison or plantation guard tower. A sentry tower doesn’t address poverty or oppression. It’s the psychological equivalent of a medieval parapet where guards working for the aristocracy keep tabs on the peasants. Food justice is a material struggle, from the field to the table. It’s about farm workers having a say in their labor and being able to afford the goods they harvest. Out-of-price groceries, just like housing, can exile Seattle families (particularly womxn and people of color who are evicted by these same police for as little as being $2 short on rent). Justice for Seattle means fewer guard towers and gentrifying businesses and more for the people Seattle’s growth has left behind. Control of the city should be returned block by block to the people, not business and the capitalist class’ fiefdoms. Are you getting paid what you’re worth at work? Capitalism bosses coerce people into working longer hours and competing against one another for essentials like food, shelter, heat, and medicine. The city is full of overpriced investment housing we can’t use, while the ever-so-slightly more affordable housing in the suburbs means longer commutes due to chronic underfunding of mass transit and public housing investment near jobs. It’s doubly-hard for families. Imagine, like the parents fighting at Amazon, that you have a human life that you’re trying to protect and nurture and you can’t go without working while childcare itself costs as much as a one-bedroom apartment. There’s one solution though. Make childcare free, pay the providers and living wage, and we’ll all reap the benefits.